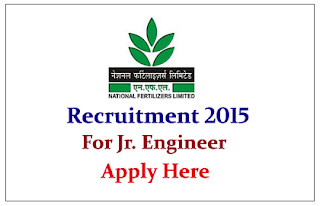 National Fertilized Limited is recruiting for the post of Junior Engineer Assistant Grade-II. Interested and Eligible candidate can apply online on or before 09th August 2015. Company Profile: National Fertilizers Limited - Miniratna company is a major Indian producer of chemical fertilizers, organic fertilizers and industrial chemicals. How to Apply: Interested and eligible candidate can apply online on or before 09.08.2015. For more details kindly check official notification.